Verso Energy has developed a low impact, low cost method of converting coal and other recalcitrant organic substrates to methane-rich biogas using the principles of anaerobic digestion. This has been achieved though selective blending of microbes from multiple sources, and a proprietary long term adaptation process in which microbial consortia have gradually evolved to utilise coal as a substrate and food source. We call this process Microbial Coal Conversion (MCC). The ability to engineer stable and adapted microbial consortia for a particular application, prior to field deployment, is a key breakthrough. Verso’s deployment process overcomes much of the ambiguity in dealing with natural biological systems. Multiple applications exist within any one basin. 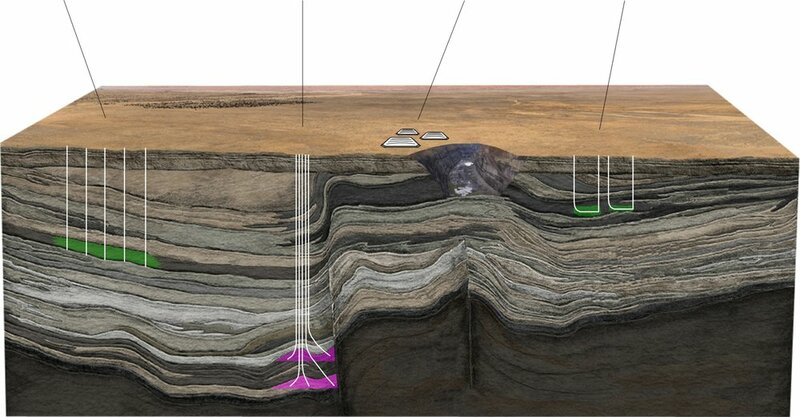 Our immediate commercialisation pathway is through the restoration and enhancement of CSG/CBM fields. Other applications include gas production from low rank coal, microbial enhanced oil recovery and utilisation of coal mine tailings for local power production.